This is actually a very simple cheesecake to make. The cake itself is no-bake. The crust bakes for thirty min, but is far more delicious than a graham cracker crust. 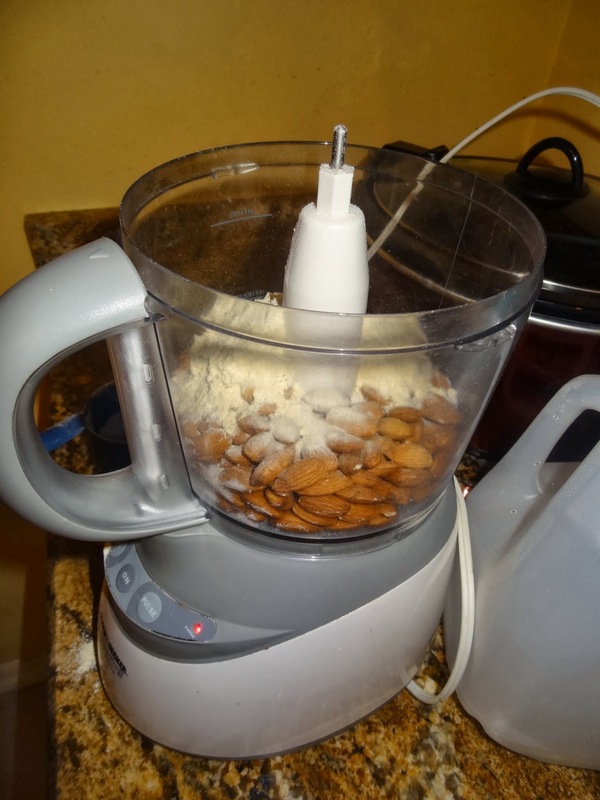 Combine all of the ingredients in the food processor on high speed. When the mixture has formed into dough, press it into the bottom of a nine-inch spring form pan. Bake the crust in the oven for thirty minutes at three hundred and fifty degrees. Allow the crust to cool for at least thirty minutes before adding the filling to the pan. 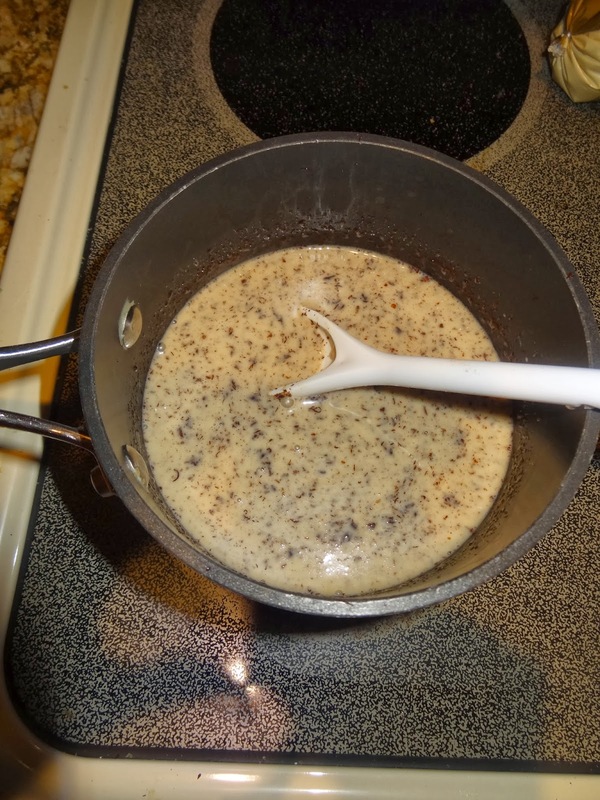 In a medium sized pan, over medium heat, melt the chocolate with 1½ c. of the cream and 1 c. of the sugar. As the mixture heats, add the vanilla and the almond extract. Continue stirring the mixture until most of the chocolate bits have melted completely, and the mixture is thick. Allow the mixture to cool for thirty minutes to an hour before incorporating it with the cream cheese. In a medium sized bowl combine the cream cheese and the remaining cup of sugar until the mixture is smooth. Slowly incorporate the chocolate mixture with the cream cheese by adding about a quarter cup at a time. When the mixture is well combined set it aside to prepare the whipped cream. Whip the remaining 1½ c. heavy cream, cold from the refrigerator, in a large bowl, on high speed, until it forms hard peaks. When the cream is whipped, gently fold it into the chocolate cream cheese mixture until they are well combined. Add the filling to the spring form pan on top of the crust. Cover with plastic wrap and allow to cool in the refrigerator for at least two hours before serving. Enjoy!